Welcome to Happy Paws Unleashed! Whatever your pet care needs may be, we’ve got you covered! Doggie Daycare gets your beloved pup all the socialization and excerise they need 6 days a week! 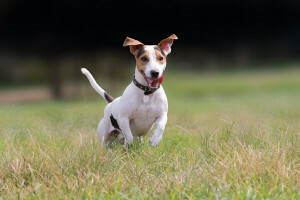 Our yard is turfed for your dog’s safety and your peace of mind. All our daycare pups get FREE nail trims whenever you’d like. Our full service Grooming Salon is staffed with certified professional groomers. Our professional Pet Care Providers offer in-home services such as dog walking and pet sitting to the greater Brunswick area. Our certified dog trainers can help you solve any behavioral problem you are struggling with. Our lead trainer, Denise Garner, has been working with dogs all over the country and you’ll be amazed at the results you’ll see in just one single session. Try our Self Service Dog Wash which provides you with everything you need to wash your pet without the messy clean-up. 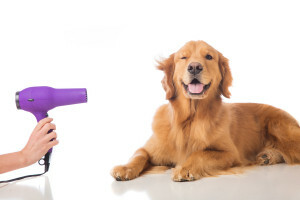 Enroll in Our Pet Grooming School of Maine: HPU Grooming Academy to acquire the skills and knowledge necessary to become a professional pet groomer. We carry a selection of human-grade ingredient treats & food as well as the highest quality grooming products for you to use, buy and sample. We also carry flea & tick preventatives for both dogs and cats. We can also custom order anything you’d like from our suppliers, be it dog or cat food, treats, a new brush, training aids, toys, beds, the list goes on and on. Just give us a call, we’d love to help you find that hard-to-replace, hard-to-find thing you’ve been missing.